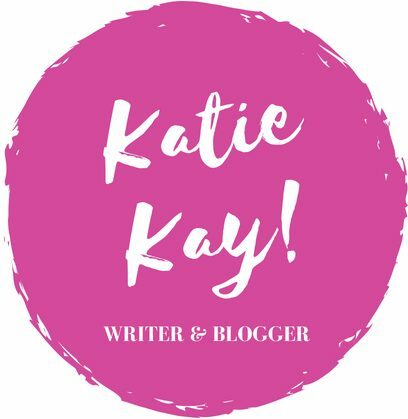 WRITER’S BLOCK – Katie Kay! Hi, readers… Today we’re going to dive into a topic that I’m sure the majority of you can’t stand. It’s a writer’s worst enemy and something that will inevitably affect all of us at some point. What is this terrible, nasty thing? When I was first starting out in the world of writing, I didn’t believe in writer’s block. At first writing always came so naturally, so easily, and I couldn’t possibly understand how some couldn’t just flesh out their ideas on the page (or Word document). Fast forward to now, and I’m sad to say the story has changed. I’m a believer now. Therefore, I’d like to do a little research into this curious phenomenon and learn more tips to combat it. Some writers are magically inspired by the dazzling world around them, and that is amazing. If you can write, no problem at all, then be blessed by your gift. Like I said earlier, I never had writer’s block when I first started writing, but things shifted a bit. In my case, I’m pretty sure that writer’s block stems from two definite sources: Location and Fatigue. Where I am in the world at a specific point in time tremendously affects the tone and subject matter of what I choose to write, which I assume can be the same situation for you guys. Fatigue, therefore, is the lack of creative inspiration that drives us writers. Whenever I am at college, my writing declines exponentially. I find excuses not to sit down and work on books, because I have other “commitments” that distract from what really matters (like writing). Writing has always been something that is central to who I am, and when I am not writing, I don’t feel like myself. Therefore, there is a juxtaposition between doing what makes you happy and trying to find space to let your creative thoughts take root. There are many symptoms of writer’s block, more so than just the inability to write or create more material. For me, some things that stand out are: Sluggishness, Moodiness, and an Inability to Focus. Sluggishness is the aspect of writer’s block that really bothers me. Normally, I am a very motivated and goal-oriented person, and when I cannot complete my daily quota (the amount of words I write per day), I get very moody. People who know me can attest to how I am when I am not working on a book, because writing is what I love most, and if I can’t write, what’s the point? Another core symptom of my writer’s block is the inability to focus. I grow distracted, bored, and waste so much time on pointless things that have no tangible benefit. For example, I have been at college for two months now, and it hit me last week that I have effectively wasted these two months, and with what to gain? (Besides LNCs and an amazing roommate relationship.) I have written close to nothing, but sure, I’ve spent time playing around with no end game in sight. That’s pretty frustrating, but luckily it’s something I am correcting at this point in time. The good thing is that writer’s block is ultimately treatable, depending on the writer. You have to want to fix the problem in order to get rid of it, and since this affects different people in different ways, I’m certain that there are different cures for everyone. I’ve found the best cure is to release yourself from the daily grind. When I know I need to write, I escape to a local coffee shop where there’s no one I know. And though it is extremely difficult, I make myself write. If it takes thirty minutes to get me started, then so be it. You’ve got to force yourself to write to combat this problem, and that’s the truth. The number one step to fighting writer’s block is to force yourself to write. So, take that, writer’s block. It’s a learning process, that’s for sure, but if you’re committed to your writing, you can defeat it too. I’ve nominated you for versatile blogger’s award. Thank you so much!! I truly appreciate the support. I apologize the the long hiatus in my responding to bloggers. I am way behind in my writing. When I first started my blog, I had some very nice responses, and then suddenly the number of people following my blog grew hugely, and I was unable to manage to read and respond fast enough. so if I am slow to respond, it isn’t for a lack of interest. This is a good article and very true I think for most of us writers. Today’s world fills us with so much input that it is difficult at times to keep it all separated, and I am sure this affects us all in trying to just sit and write. And yet there are people who do manage to do it successfully. Thank you kindly for your helpful article. Also that is amazing your blog is growing so much, despite the problem of trying to manage everything. That means people really care what you have to share with the world.